The feast and celebration of Thanksgiving is upon us this week, bringing families together and opening the Christmas season. 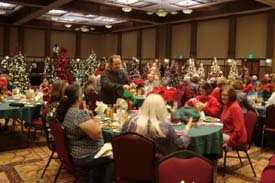 In Gatlinburg, the annual Festival of Trees for 2014 is an event to select for customized gifts and cards, family fun, and a heartwarming start to the time of giving and receiving. 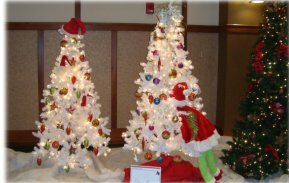 Festival of Trees is a kid-friendly opportunity to wander through a world of sparkling Christmas trees, each ornamented with unique gifts and craft works, to create and send customized holiday cards, and to take family pictures with Santa. 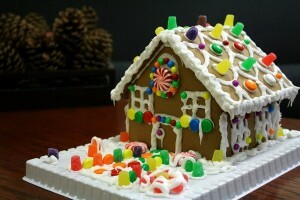 There’s a competition for best gingerbread house, which brings out the best efforts of local chefs, families, children, businesses and organizations. The event is free to attend, with donations welcomed, and benefits Smoky Mountain Area Rescue Ministries, a local charitable mission that will be especially busy this time of year helping the less fortunate..
Tuesday, November 25, 2014 is the formal start of the week-long event, with a ticketed luncheon, followed by the highland bagpiper, leading the way through a lighted arbor, Candy Cane Lane, into the forest of trees, where the event kicks off. Tuesday evening brings the competition judging and prize-giving, with a family-friendly Business After Hours conducted by the Chamber of Commerce. 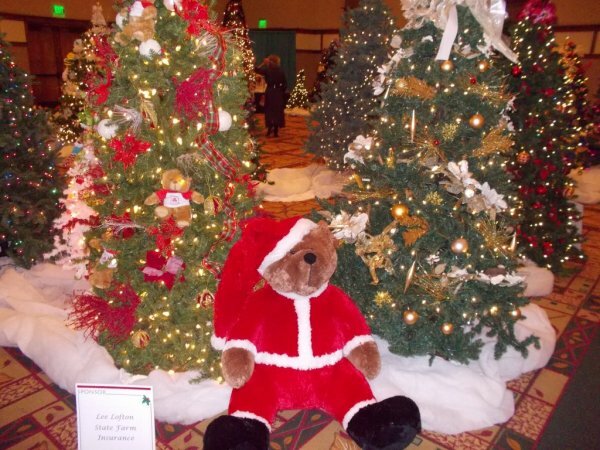 Put Gatlinburg’s Traffic Light #8 on your radar this week, with the Festival of Trees happening through Saturday at the Mills Conference Center, and with the Thanksgiving Crafts Show also happening at the Convention Center next door. This is a great opportunity to shop for unique gifts or simply browse an entire world of handmade arts and crafts. Friday and Saturday afternoon offers a photo opportunity with Santa – send out your cards with your photo – the perfect keepsake for your Thanksgiving family reunion. For kids there’s a crafts projects area designed just for them. Many items are for sale, including some of the lavishly decorated trees. At the end of November in the Smoky Mountains, fall gives way to winter, and Thanksgiving opens into Christmas. In Gatlinburg, a Winter Magic world full of lights and sparkles offers unique opportunities such as the Festival of Trees to share time with family, to shop and to give, in the true spirit of the season. For more info visit the Festival of Trees event page or call 865-908-3153.